Sometimes you do have to wonder about things that come your way. Today I have to report on a media release that was sent around today on a new set of federal awards. As I looked through them I just sat here amazed. Seems not everyone thinks the same about some of the things being built and planned for our cities. But alas, it is my job to report and to resist making too much in the way of comment – after all such national awards must be worth celebrating – by someone. 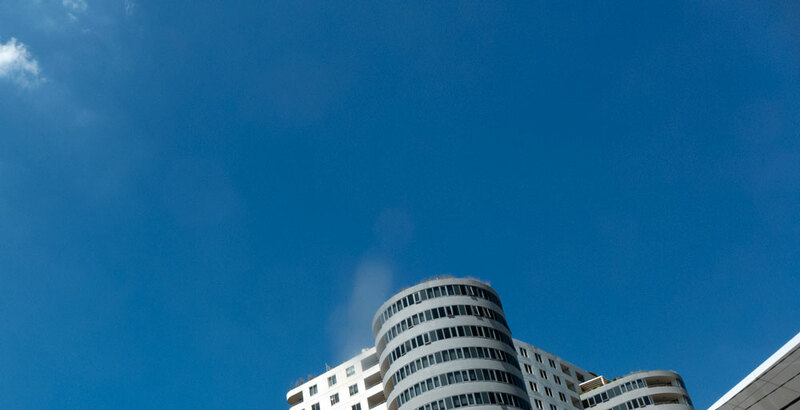 To keep this short, I have extracted those awards that have been announced for buildings and planning initiatives here in Canberra – we leave it to others to boast about their city’ awards. The media release came for the new Cities and Urban Renewal Unit. 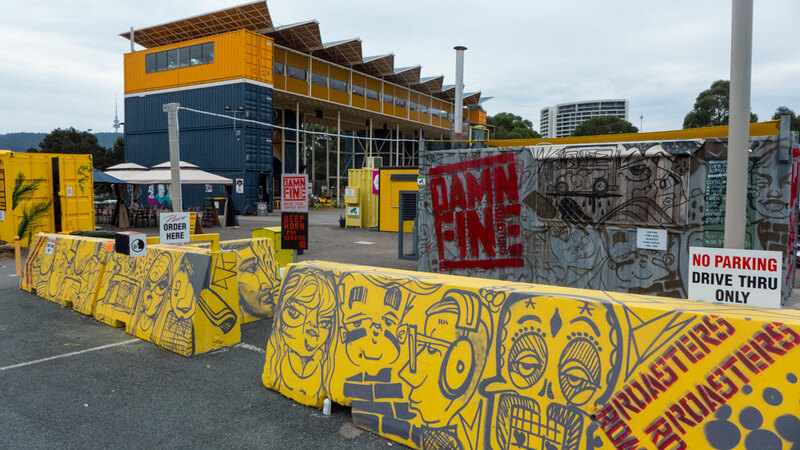 The unit has announced that these awards will be announced on this date annually to honour significant and vibrant urban redevelopment initiatives across Australia’s cities. The awards program, known as the Commonwealth Redevelopment Awards Program, provides recognition for outstanding innovations across buildings, infrastructure and vibrant open space planning – this includes those that have been built as well as those that are in the planning or concept stages. A special consideration is given to recognising the special efforts by the private sector to both address sustainable issues, to provide vibrant urban renewal solutions and to have engaged with the local communities in their forward planning. While many of the awards this year went to some obvious urban renewal projects interstate, Canberra has been very fortunate to have the following vibrant projects listed. 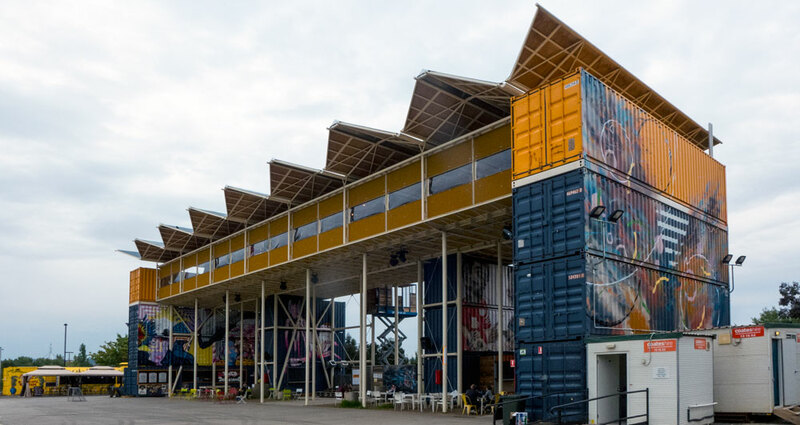 The award was granted to the ACT Government for the urban renewal initiative to build the lakeside vibrant container village, Westside. The award recognises that while there was much criticism of this project in that it failed to deliver in its first year, nonetheless the government bravely stepped in to fully fund and manage this exciting project given its own in-depth research that indicated the attraction to tourists for such a colourful and disruptive built form in this out-of-the-way corner of Lake Burley Griffin. This award was granted to the joint project developers who have announced the urban renewal planning concept for the precinct around the Manuka Oval. This award especially recognises the manner by which the joint developers and the ACT Government have advanced their vibrant urban renewal concept. Special mention has been made of the processes whereby the developers and the government put together the concept for the community even though the locals had no idea that such a development was required in this quiet inner city location. The special award recognises the historic and on-going commitments by a government to ensure a fair and equitable allocation of resources for urban renewal in a town centre. 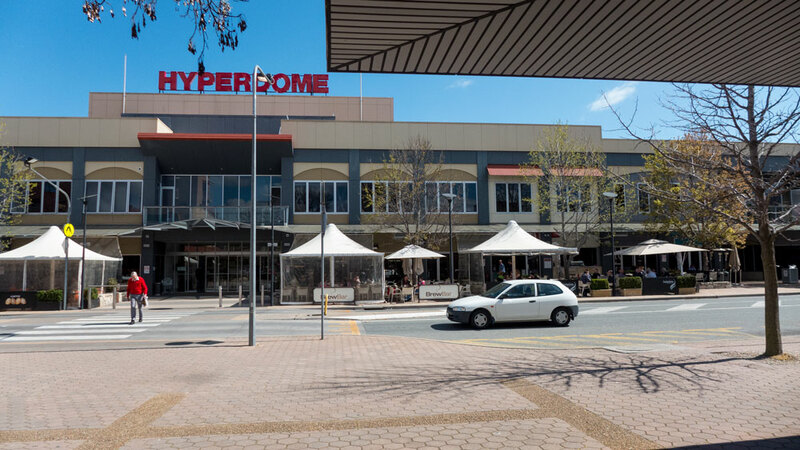 In this case the Commonwealth Redevelopment Awards Program has recognised the ACT Government’s long-term and generous commitments to the Tuggeranong urban centre. The award acknowledges the care the ACT Government has taken to ensure that this huge population centre has received at least an equivalent allocation of infrastructure projects, education facilities and other cultural amenities as have been allocated elsewhere across the city of Canberra. The media release finishes with the announcements that the Commonwealth Redevelopment Awards Program (CRAP) has invited the ACT Government to receive its awards at the inaugural urban renewal award dinner to be staged in downtown vibrant Geelong – with special helicopters provided to transport award winning guests from Melbourne airport thus ensuring that guests arrive on time. Such national awards are certainly a great celebration of Urban Renewal in Canberra. Yah! !